On last weekend’s Saturday Malawi’s top Human Rights activist John Kapito got arrested in Lilongwe, accusations: Possession of guns, seditious material and illegal possession of forex. One day later, Atupele Muluzi, opposition MP of the UDF, was hindered by police forces to address a gathered crowd of supporters in Lilongwe. The police interventions lead into running battles between police forces and UDF supporters and one police station set on fire. On Monday morning the police issued a warrant of Atupele. Lilongwe faced anther weekend of high political tensions. The law on currency exchange demands that whoever is looking for forex should first apply with relevant institutions. It appears that this did not happen in this case, hence the arrest. Kapito was indeed in possession of forex since he planned to attend the mentioned International conference in Geneva. He applied properly for this money at the National Bank and finally received it from that bank. After two hours, Kapito was released from bail again. He still intends to fly to Switzerland in order to present a report on the current human rights situation in Malawi. Since Kapito is one of the most outspoken critics of the current president Bingu wa Mutharika, observers and media institutions suspect that the government systematically tries to delay the activist’s departure to Geneva. This means an effective avoidance of any representation of the current situation in Malawi that could harm the government. The authorities have been trying to silence Kapito for months with public threats and intimidation but he has continued to exercise his constitutional duties and speak out – and so they have now had him arrested on these trumped up charges. One week ago, the State House issued a statement where it openly threatened media institutions in Malawi. On last weekend’s Saturday Human Rights Activist John Kapito was arrested. 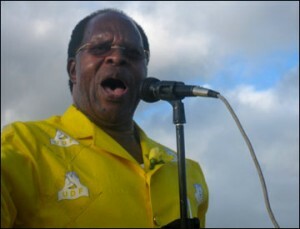 It almost seemed that this was not enough when a rally of the opposition politician from the United Democratic Front (UDF), Atupele Muluzi, was hindered by police forces on Sunday. At a primary school president aspirant for 2014 Atupele was supposed to address a gathered crowd of UDF supporters. In the end this rally was hindered by the police firing tear gas into the crowd. According to the police, UDF had not applied properly for permission of the rally. The police are not being fair with us. They claim we did not get permission when in fact we followed all the channels. The tear gas attacks lead into UDF supporters fighting back the police. They threw stones at them and set a local police station and two police cars on fire. What followed was running battles with the police. After these incidents, police forces stormed the politician’s residence in Lilongwe on Monday. According to Nyasa Times police sources this move of the police was legitimated. 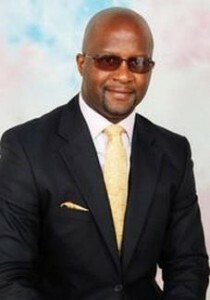 A warrant has been issued against Atupele Muluzi on charges of inciting public to engage in violence and destroying property. At the time the police stormed into Atupele’s house, he was not present. He could not be arrested but the warrant still remains current. Atupele currently gains more and more popularity among large masses. Thousands of Malawians gather for his public rallies. Meanwhile he is seen as a serious challenger of President Bingu wa Mutharika for the presidential election in 2014. However, critics within the UDF reproach Atupele who is the son of Malawi’s former president Dr. Bakili Muluzi of acting for his father. They blame Bakili Muluzi being the force behind Atupele’s actions intending to divide the UDF. The network of the politic scene in Malawi becomes more and more a complicated affair. Furthermore the past threats on media institutions and the arrests of human rights activists add fuel to the fire which works for the opposition. High political tensions come to a head.